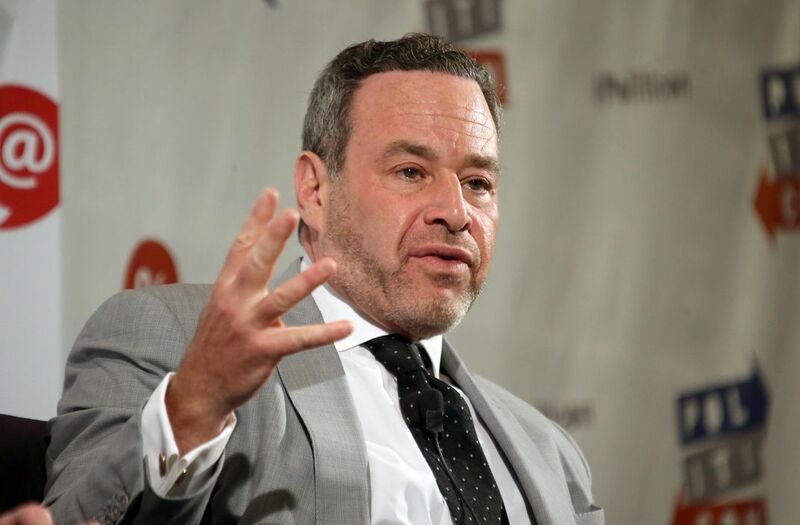 To David Frum, a veteran of the George W. Bush administration and now a senior editor at The Atlantic, the reasons for human migration are relatively easy to parse. It’s the way that the nations of the world confront the effects of these population shifts that’s more difficult. A U.S. citizen since 2007, Frum, born and raised in Canada, has long been a supporter of restricting immigration. In this conversation with Smithsonian Second Opinion, Frum expands on these ideas and discusses why Americans are neither unique nor exceptional in how they struggle with the debate over immigration. This interview has been condensed and edited for clarity. What, in your experience, brings immigrants to the United States? Immigrants move to the United States because they perceive better economic opportunities and other kinds of opportunities in this country than they have at home. Those are opportunities for work, to gain access to particular kinds of services, to integrate into family networks. I see immigrants driven by pretty rational motives. Migration is costly. It's costly in economic terms, it’s costly in terms of life disruption. People will only do it for a reason. It’s not something done lightly. So, immigrants move because they perceive an opportunity to better themselves some way. Does this mean the United States is a particular place immigrants seek out? Is there something special about this country? No, I don’t believe the United States is exceptional in that way. I think that the motives that impel migration in the United States are very similar to motives that impel migration to developed world countries, generally. They’re not different from the motives that impel migration even to semi-developed countries. Russia is one of the largest recipients of immigration on Earth, and it’s not an especially developed country. Generally, people see opportunities to better themselves by moving from a less developed to a more highly developed economy. That is in no way a denigration of the United States. In this regard, I think the economies of developed countries have some differences, but they look a lot like each other, especially in comparison with the economies of less developed countries. So the concept of American exceptionalism doesn’t ring true to you? American exceptionalism began not as a compliment to the United States. When the concept was introduced, American exceptionalism was a problem. The problem was this: Marxist theory predicted that a highly developed economy would develop large-scale socialist movements and labor parties. While the United States in about 1900 did have a socialist party and did have some labor movement, it was much less divided than either Britain or Germany, the other two most highly developed economies of the time, so Marxist theorists had to explain the problem. Generally, explanations of things that happened in the United States have been premised on the United States being a radically different kind of place from Britain or Germany or Canada, I don’t find those convincing. I think except for its very large scale and its comparative weakness of its social net, the United States is, in a lot of ways, very like Britain, Canada, and Germany. All, by the way, are major immigration-receiving countries. As someone from Canada, which has a far more liberal immigration policy than the United States, and also as an immigrant — do you think that immigrants can ever fully assimilate into American society? When migration happens, in the first generation, there are a lot of difficulties. There is a lot of evidence that suggests it is actually taking longer for assimilation to take place than it formerly did, because the levels of human capital needed to flourish in a highly developed economy are so high. In 1900, if you got on the boat in Sicily and emerged in New York, you emerged into a society that was richer, had more physical capital, so wages were higher than they were in Sicily. But the way of life wasn’t all that different. In Sicily, poor people didn’t have indoor plumbing. In New York, poor people didn’t have indoor plumbing. In Sicily, most people had very little formal education. In New York, most people had very little formal education. That does not describe what happens when you move from Pakistan to Germany in 2017. It’s not just the material capital that is much higher and makes Germany more wealthy and labor more productive and therefore better paid. There are large, large human capital gaps and it takes more than one generation. Immigration is a fairly new thing, so it’s hard to make comments about multiple generations. But the best study of, for example, the educational levels of Mexican-Americans finds, even in the fourth generation, Mexican-Americans are not equaling the levels of university completion of the native born non-Hispanic White population. What does it mean to be an American? What does it mean to assimilate into American society? I use assimilation to mean full participation as a citizen on equal terms with people whose families have been there for a long time. Markers of assimilation are economic — do you vote at the same levels as everybody else? Do you feel comfortable? Do you have a sense of belonging and purpose and identity? My basic view of immigration and the way I think of it and the attitude that informs my writing is this: Migration is something that migrants do for rational reasons, but that policymakers tend hugely to underestimate both the difficulty of and the costs of. We do single-entry accounting. We count all the benefits, maybe even over-inclusively. We don’t properly account for the costs, and we don’t acknowledge the difficulties. So it sounds like you’re saying that assimilation works both ways — that countries adapt just as individuals do. Immigrants change their society. Germany’s a very dramatic example of this. Germany has a lot of regulations that make labor not only very expensive, but there’s a big gap between what the worker gets and what the employer pays. So, in Germany, if you had a full-time job ten years ago, the employer had to provide certain levels of benefits, certain levels of vacation. So, only about half of the cost of that work would show up in the worker’s own pocket — so the worker might own €15 an hour, but the employer would pay €30 an hour. Then you have a huge migration over the past three years. I think almost a million-and-a-half people come from much less advanced societies, they arrive without skills, they arrive without the German language. Or to the extent they do have skills, they don’t fit well within the German economy, and no one will pay €30 an hour for their labor. Walking around the back of a German restaurant in 2005, you would see that the same people who had served your dinner were doing most of the jobs cleaning up. Walk around the back of a German restaurant today, you’ll see a lot of people from Afghanistan doing washing up in a job that has now been separated from waiting on a table. It’s usually done in an informal economy, at a much lower wage, without benefits. So, this migration has changed the nature of work in German society. Immigration depends on the society that the immigrant comes to and the kind of immigrants you attract. I have been pretty forthright in saying that the particular kind of immigration the United States has attracted since about 1970, on balance, the costs have exceeded the benefits. The benefits to the immigrants are clear. But for the people who were already in the United States, the costs of immigration have been greater than the benefits. That’s not true everywhere. I think that’s less true in Canada. I think generally that you can arrange the societies of the Western world on a spectrum from those who have had more successful and less successful immigrant experiences. I’d put the United States and Sweden toward the bottom, among those that have had less successful immigrant experiences, Britain and Germany, somewhat in the middle, and Canada and Australia toward the top. So what should the United States do in order to have a more successful immigration policy? I would have three recommendations. One is to be much less indulgent of illegality and immigration. Enforce your immigration laws so that the immigrants are the immigrants you choose, not the immigrants who choose you. Second, emphasize high levels of skills and human capital over the ability to enter the very bottom of those rungs of the economy. Third, be aware of overall numbers. This is why you can’t be absolutist about it. The United States takes over a million legal immigrants a year, and before the crash was taking another million illegals. So, I would think that the ideal number is probably somewhere in the 500,000 range. The ideal number’s not zero. When you say present levels are too high, that doesn’t mean the ideal number is zero. It means that the ideal number is somewhat less. So, manageable numbers, high skill levels, and strict enforcement of the laws so you do not indulge illegality. Those are the ingredients of a successful immigration policy.